Vending machines are very popular because they are really convenient for buying a snack or a cool drink. Unfortunately, the majority of these machines sell junk food. So, if you’re into healthy eating, then these machines are not much use. 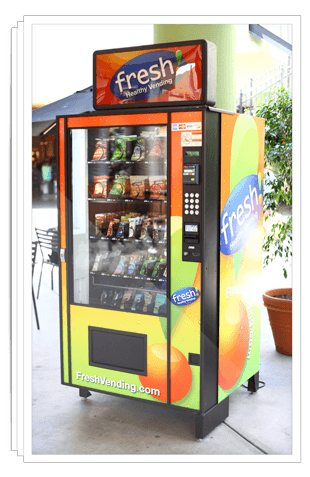 Fresh Healthy Vending understands the problem and provides a great alternative – healthy eating vending machines. Fresh Healthy Vending is a company that specializes in food and coffee machines that are great for selling organic coffee, chilled and non-chilled foods. They are all about promoting healthy living. The food machines have autonomous refrigerator and room temperature compartments, so storing muesli bars, fruit chips along with yogurt and chilled healthy drinks is really easy. Fresh Healthy Vending is a franchise opportunity, which means that it’s an excellent option for business owners who want to promote healthy living and earn at the same time.